to get my shoes off. 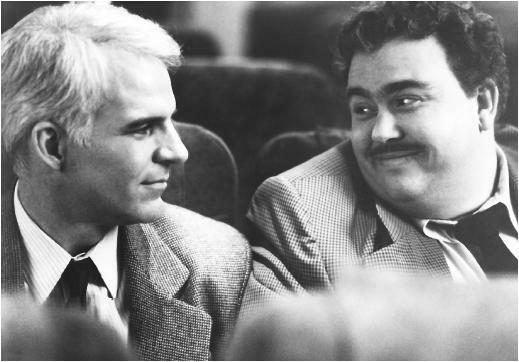 Neal (Steve Martin): That's just fine. Leave your shoes on. Del: I can't relax if I've got my shoes on. Neal: I don't care to breathe your foot odor. Leave the shoes on. Del: Gee it must be swell being so perfect and odor-free. These lines immediately precede what must be the finest exchange about ball-adjusting in all of American cinema. You can watch here, but you really need to see the whole movie to appreciate the moment. He really does have a superior nose. My guess is most of his profile shots are from Roxanne. You are correct on both counts, Elisa. Love this! BTW - I got my Kilian velvet pouch with ten perfume samples yesterday. Made my day!